Kahncept frst first fell in love with reggae and ragga jungle in the early 90's. 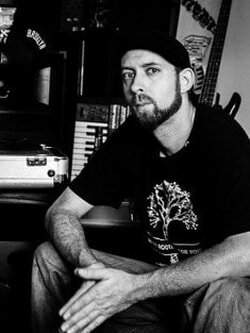 By the late 90's he had started DJing and co-founded Sin&Cos productions, starting an enormous junglist movement across upstate New York. Quickly gaining recognition as a DJ and promoter Kahncept began DJing throughout New York, down to the Carolinas and all the way out to Cali. After producing hip hop, jazz, and dark drum and bass for a few years he decided to go back to his reggae/ragga jungle roots and focus on that as top priority. Upon moving to San Diego in 2004 he put DJing on hold to focus solely on engineering and recording exclusive dubplates from Tippa Lee and other local reggae artists; Big League Sound was born. Now back behind the decks in Brooklyn and in collaboration with the UK's DJ L.A.B. this cross continental Junglist sound system is ready to take over. Inspired by the wealth of underground dance music played at local free parties in the UK, L.A.B. first started producing in 2000. He quickly found an affinity for jungle above all other styles, with an emphasis on reggae hooks, deep basslines and cut-up breaks featuring in many of his tracks. 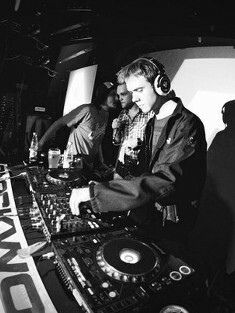 He currently has hundreds of tracks to his name and has featured on multiple collaborations and remix projects with other producers from the jungle scene.  In 2012 he became part of the Big League Chune soundclash crew, and together with Brooklyn's DJ Kahncept started the Fat Ape Jungle record label.